Croajingalong National Park and adjacent parks to the north. It's a vast area, with diversified interests ranging from high country wilderness to snow capped mountains in the north. In contrast, the coastline presents a huge lakes complex ideal for boating, yachting, fishing and skiing that is sheltered and inland, but opens through a narrow neck into the sea. The ruggedness of the coastline is not cliff edged like the Great Australian Bight nor Great Ocean Rd area. 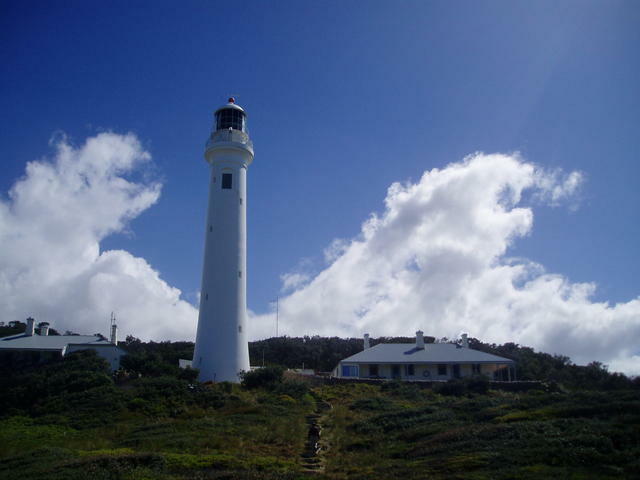 Nonetheless it is as hazardous, dangerous yet brilliant to explore and wander, boasting magnificent attractions like Point Hicks Lighthouse, 45kms out of Cann River. 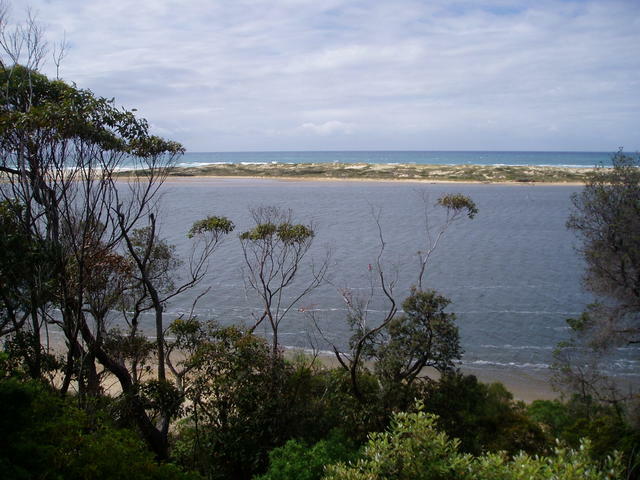 Then there's that tranquil seaside hideout at Mallacoota with all its beaches and lakes. What about slipping down onto Raymond Island or tripping around the expansive lakes that are out of Metung or Paynesville. Perhaps some cave exploration at Buchan, or checking out the historic trestle bridge at Nowa Nowa. 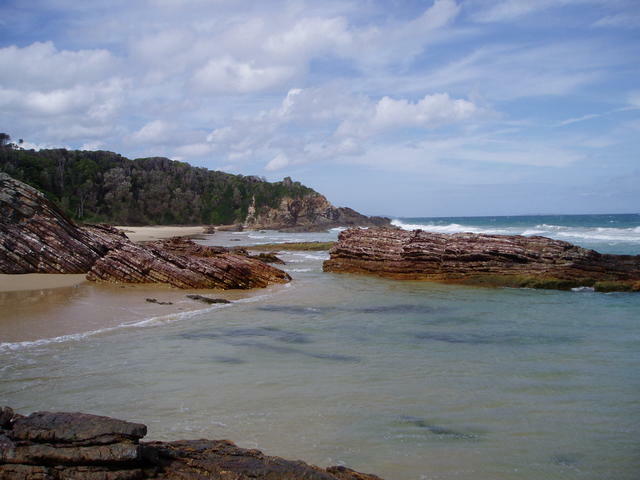 Maybe a stroll along the expansive beaches from Marlo to Cape Conran following the Snowy River to its final exit to the sea. 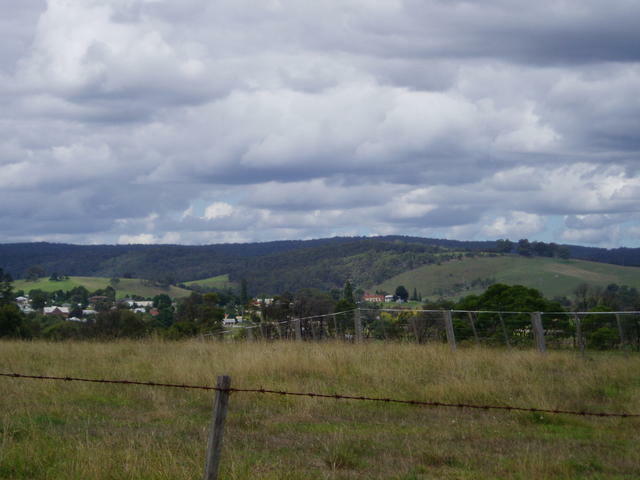 The main access to the entire area, is via the Prince's Highway, stretching approximately 240kms straighline, from Bairnsdale at the western end through to Genoa in the east just short of the NSW border. Sadly, many a traveller can view this 'middle stretch' of the Prince's Hwy as just a part of the journey they take from Melbourne to reach the beach areas on the southern reaches of the NSW coastline or beyond, and fail to slip off the highway to take in the many delights that East Gippsland keeps to itself! Well your thinking is about to be seriously changed, as we introduce just a couple of hideaways that you need to steer into for a few extra days when in the area. 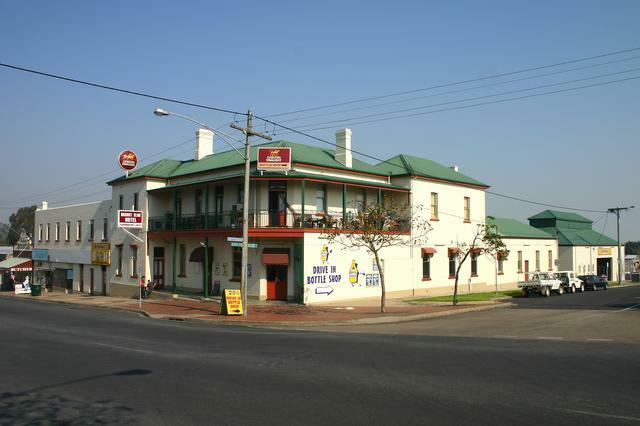 Don't depair, there's plenty of great little pubs where we'll take you, so you you won't be missing out on that great Aussie hospitality accompanied by great meals and ales! Now that is one long adventure, and deserves separate discussion. But the important thing is that all this can be reached, or is part of the East Gippsland region. What's more, you can also enjoy the attractions we'll mention in this series of short itineraries as well. Three hours out of Melbourne via a fast bitumen Highway, you arrive in Bairnsdale, unless you've been out exploring our South Gippsland Trail or Walhalla trail that is! 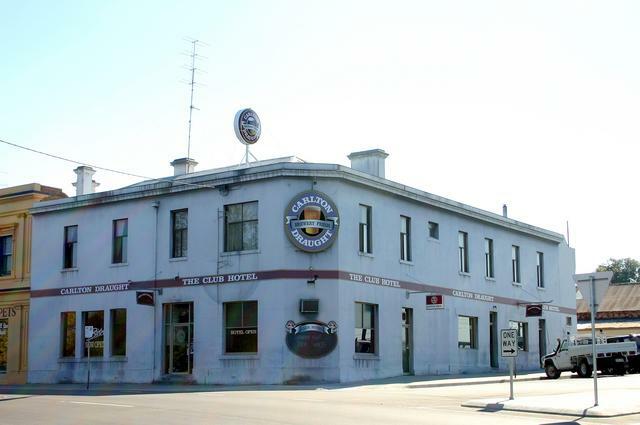 We'll summarise the key towns along the stretch from Bairnsdale through to the border past Genoa but point out where you should be peeling off for a day or two here and there to really enjoy all that this area has to offer. Catch you at Bairnsdale to get the show on the road! 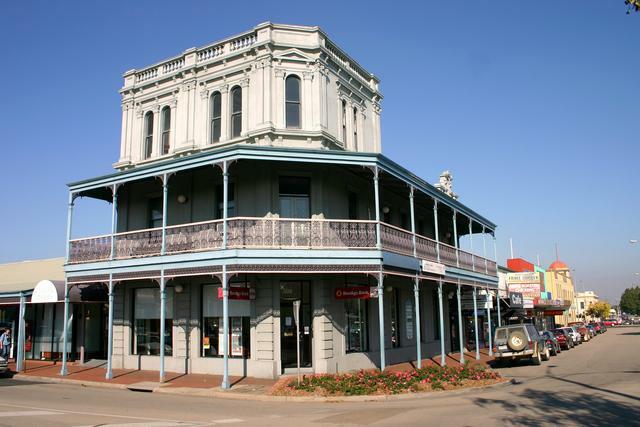 Bairnsdale is a real pivot point for settling in a while, and exploring the area to its south, around the Lakes region, and Raymond Island is a great trip for exploring boating, fishing, birdlife and a very relaxed lifestyle. 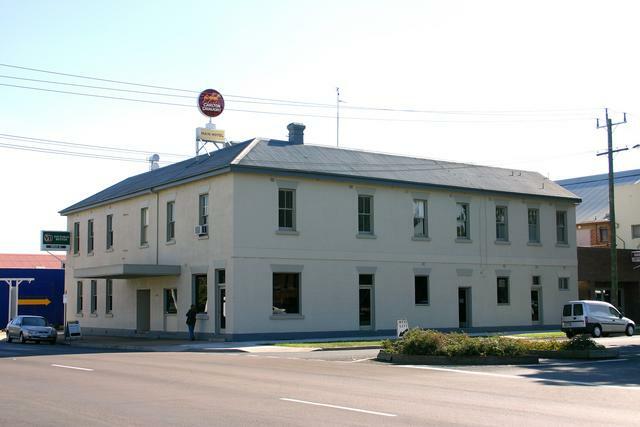 There are heaps of great pubs in Bairnsdale, but you need to go and earn your visiting rights, by travelling about the area exploring the nearby areas, and perhaps popping back for the night to try out the local fare! So we suggest a sprint down south from Bairnsdale via Eagle Point to Paynesville to chack out Raymond Island. 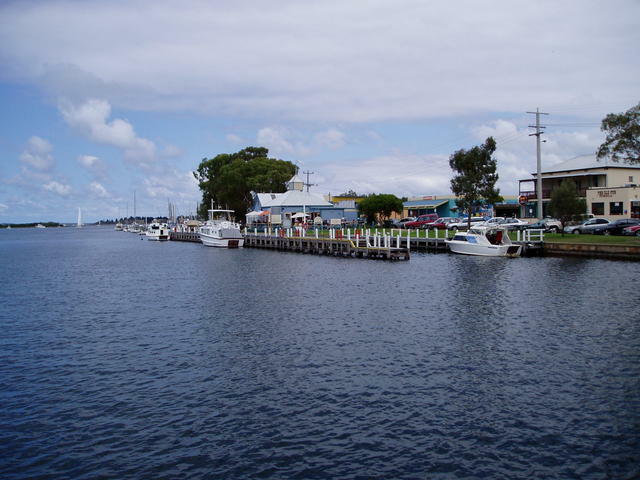 View from the ferry looking down the town frontage in Paynesville. Situated in the middle of Lake Victoria, abutting the town of Paynesville, is a well populated and desirable spot to reside - well at least the locals will argue that! Jump on the ferry at Paynesville - pretty much opposite The Old (Paynesville) Pub and take the short few minute's ride over the channel. It's fun to just jump on as a passenger and look around the Island between ferry ride returns! View of the Ferry, in the midst of the boat harbour at Payneville. 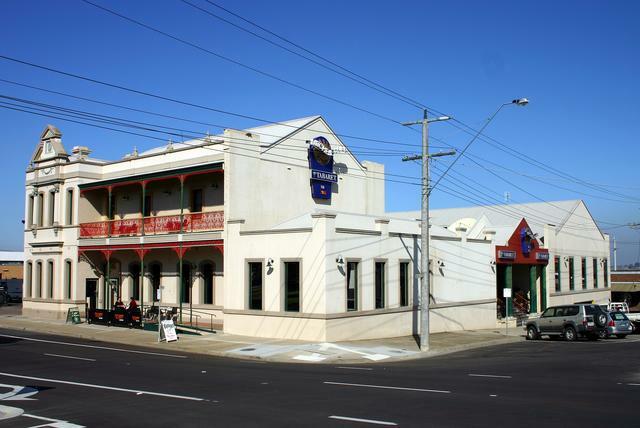 Former Albion Hotel - beautifully restored, but private. Another interesting village styled town that sits on Lake Victoria, is Metung. Take a turn south from the township of Swan Reach on the Prince's Highway for a quick run down to this little haven. There's a great pub with its own pier right on the lakeside, and handy to the middle of the village shops. From here, you can charter boats for cruising the lakes in style! 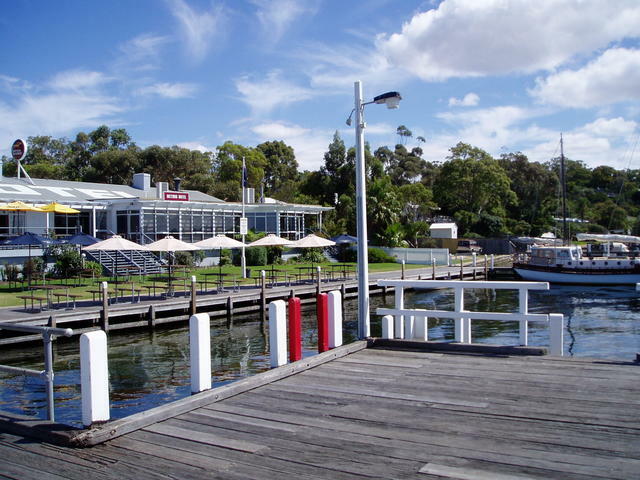 Metung Hotel - right on the lake with its own pier! 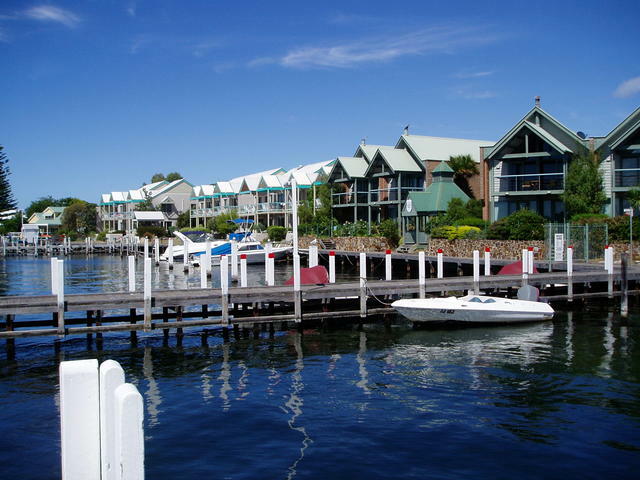 Check out the high class foreshore properties, and stroll along the boardwalks. If you're into some history of the area, and enjoy a stroll through some great open gardens and farming, then the open-for-inspection farmhouse/property at Nyerimilang (pronounced: Ni-airy-me-lang) is a top half-day tour or more if you take lunch. 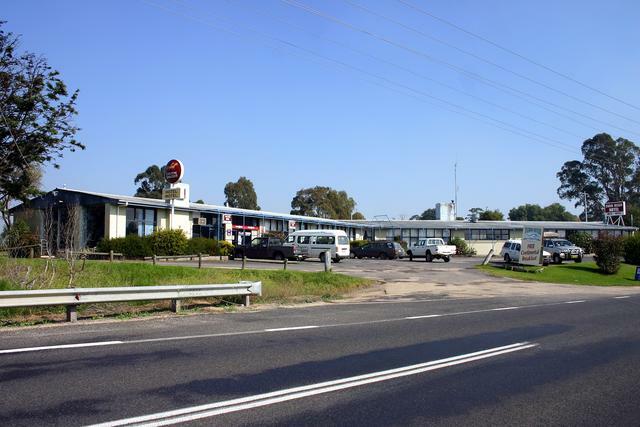 It is only a short distance west of Lakes Entrance, at the turnoff in West Kalimna. Kalmina West Rd takes you from the Princes Highway, west along an easy road till you take a left into Nyerimilang Rd which leads you to the Histroic Homestead entrance. Take a self-paced walk through the adjoining properties on the homestead and see fully restored farm buildings, equipment sheds - and keep an eye out for all the great wildlife in the park! 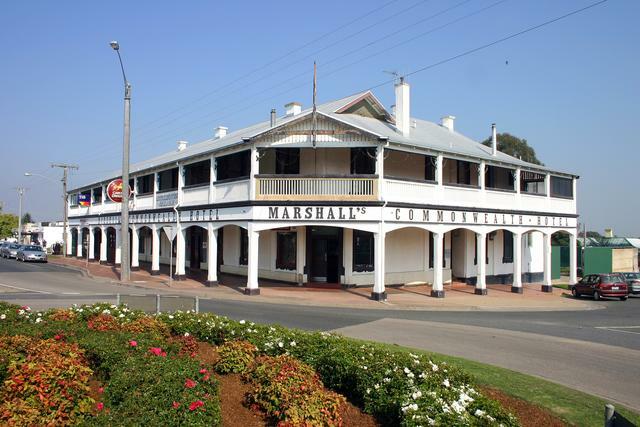 Now here's a top pub to stop at, and pop over the road for a great view of Lakes Entrance - where Lake Victoria opens to the sea. Lakes Entrance provides the only boating exit to the sea from the Lakes District which spreads west of the town to Paynesville, Metung and Raymond Island. The town is a bustling with boats and trawlers of all descriptions, and provides great viewing as you wander the main street of the town, with all the wharves opposite. Then there's the wlking bridge that leads you over to the surf beach, which gives you a really good look at the town from the stretch of dunes that line the coastline of the town. 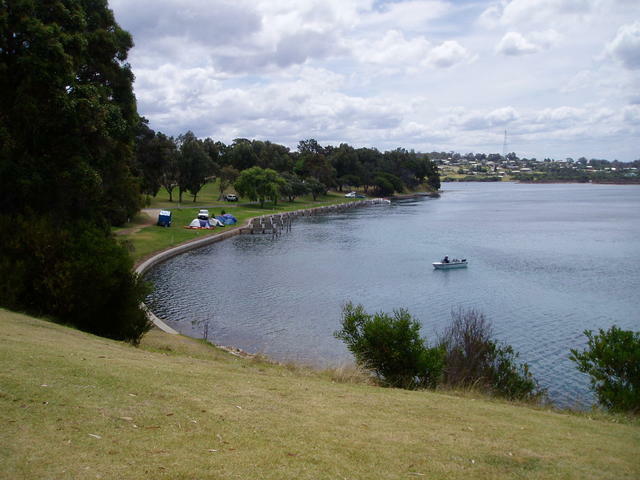 An alternative route along the Prince's Highway bipasses Lakes Entrance, starting at the eastern end: Now Nowa, and leads the traveller through the rolling hills around the northern side of Lakes Entrance, arriving at Bairnsdale. Visitors to this region can take this loop trip to explore the surrounding areas. 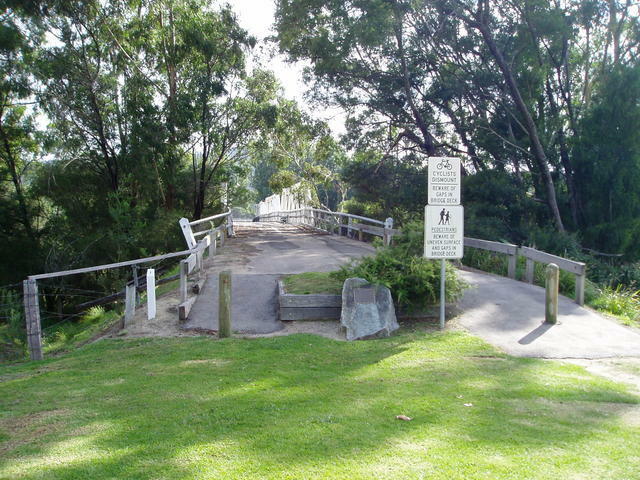 The Bruthen run, is also a good shortcut for your return trip through these parts, once you've explored Lakes Entrance. 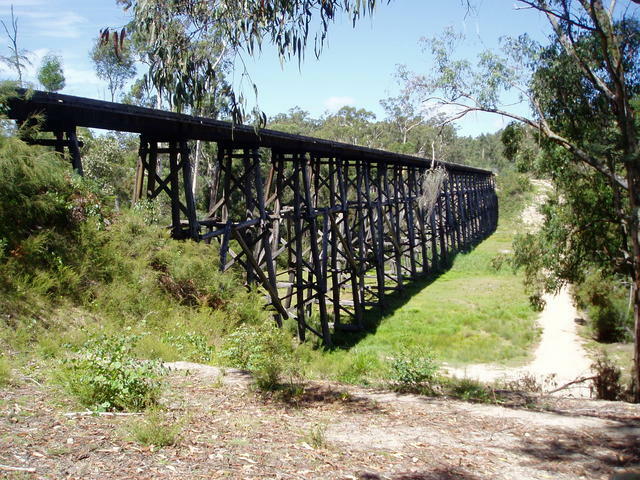 There are some great sights along the old railway line - now a popular bike and walking trek, and many a fine trestle rail bridge can be seen. 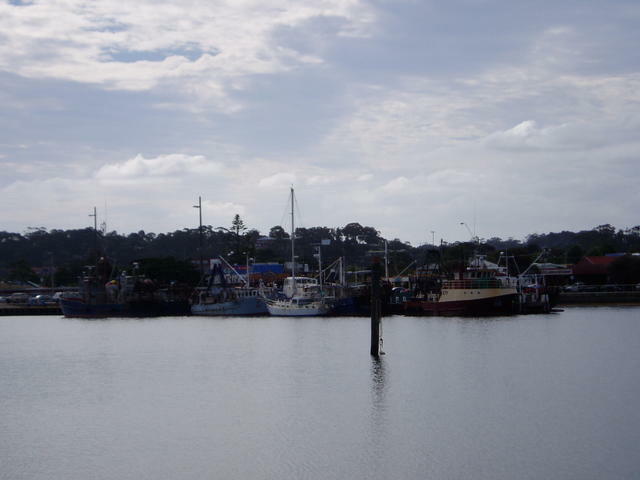 Fishing boats line up along the wharves in the main street of Lakes Entrance. 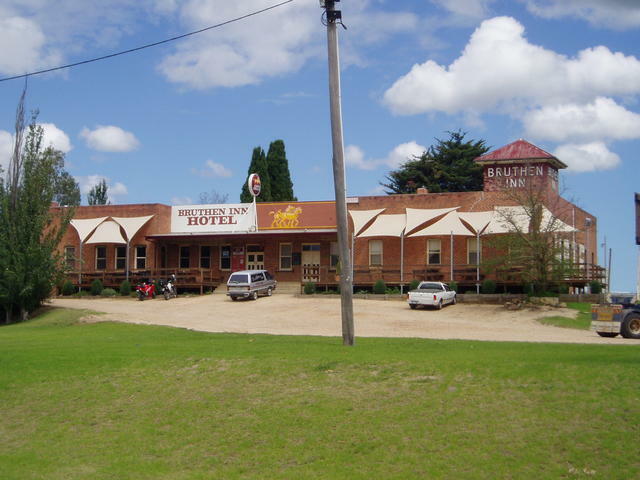 Bruthen Hotel can be seen for miles around, sitting atop a hill on the outskirts of town. For those interested in large trestle bridges, there is a magnificent example well sign-posted as a turnoff about 5kms along the Prince's Highway just West of Nowa Nowa - highly recommended. 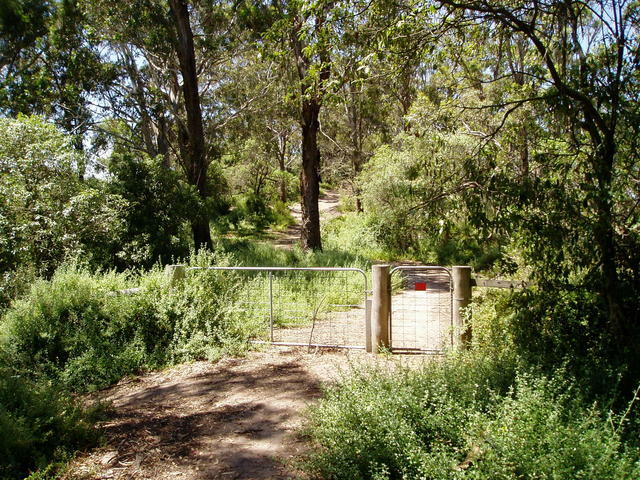 Nowa Nowa, with the turn off to Bruthen, is the route to travel up to the Buchan Caves area in the township of Buchan. 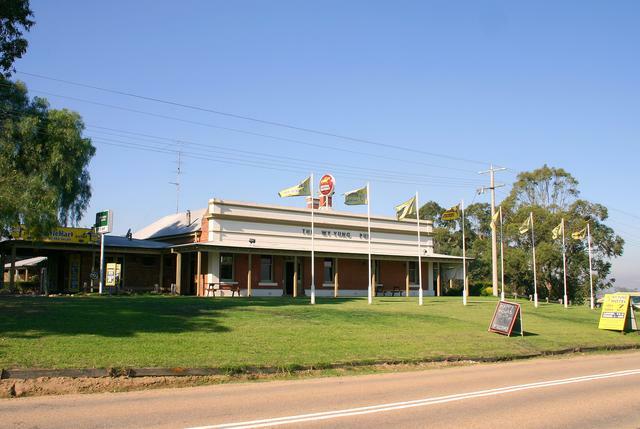 Take the Nowa Nowa Rd north-west from the Nowa Nowa major intersection on Prince's Highway, and go up to the Bruthen-Buchan Rd where you head north up through the small town of Buchan South, and ultimately into Buchan itself. 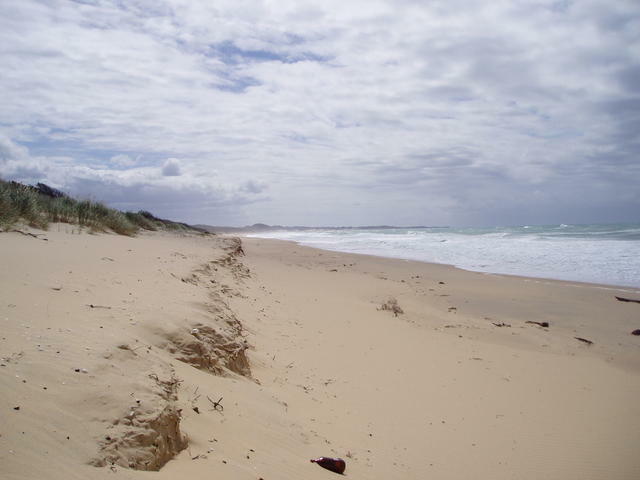 Marlo and Cape Conran access from Orbost. 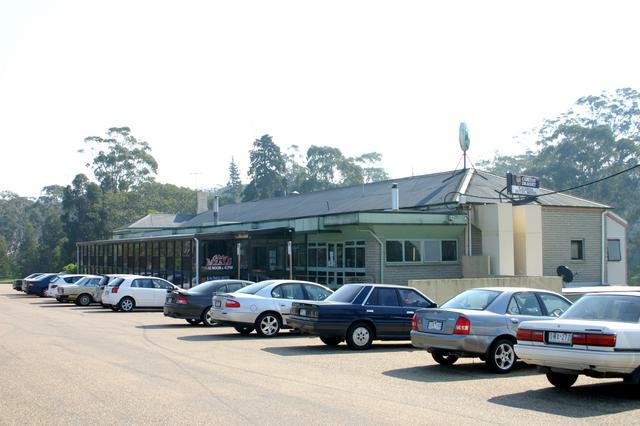 Be sure to take the Princes Highway exit into the great rural township of Orbost. 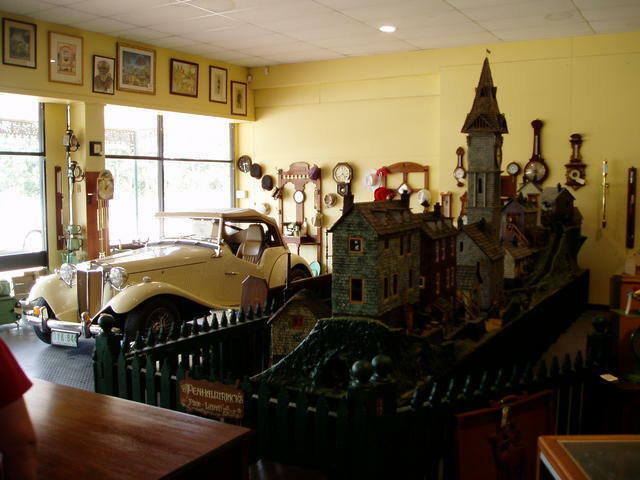 It has a great historical display at the southern end of the main street of town, some great pubs, and if I recall well - a top bakery at the top end of town! What else could a weary traveller hope for! So stop off here, and make Orbost your stopover point for the night and then go and explore Marlo and Cape Conran to your south. From here, head back north up to the Princes Highway where you emerge just out of Cabbage Tree Creek and can decide whether Orbost for the night for a refreshed start to another great day of exploring the East Gippsland region can continue another day - or head further east for Cann River and the delights we have in store for you from there. Hold the phone! 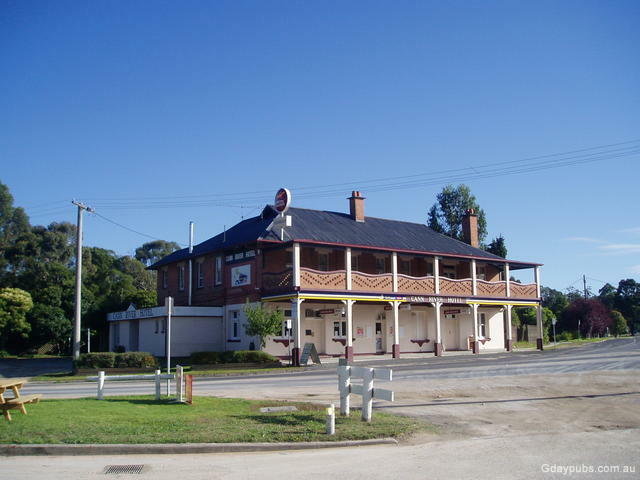 Don't go tearing along the Prince's Highway too fast - there's a great pub right on the road at Bellbird Creek! In fact it is pretty much all that is here in the town, but what a top little pub it is! Now if quiet fishing is your go, they tell me that Bemm River, just south from Bellbird Creek is a sure thing! So with the local just up the road, it's high time you fed up, got some supplies, and headed on down to try your luck, and then pop back for a real nice counter meal! Hope you catch a few! 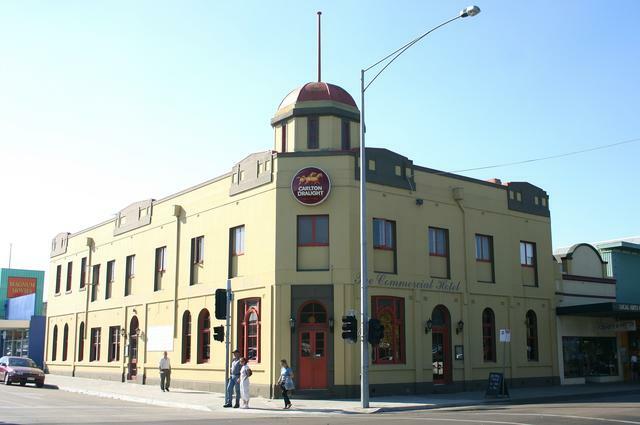 - Top spot for a counter lunch on the trip! 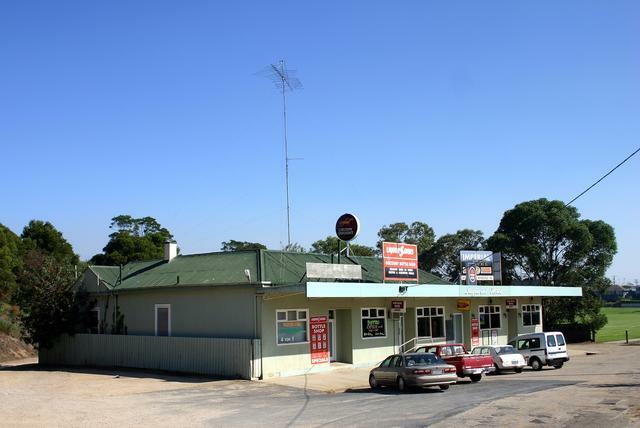 Cann River - another good spot along the Prince's Highway to stop. 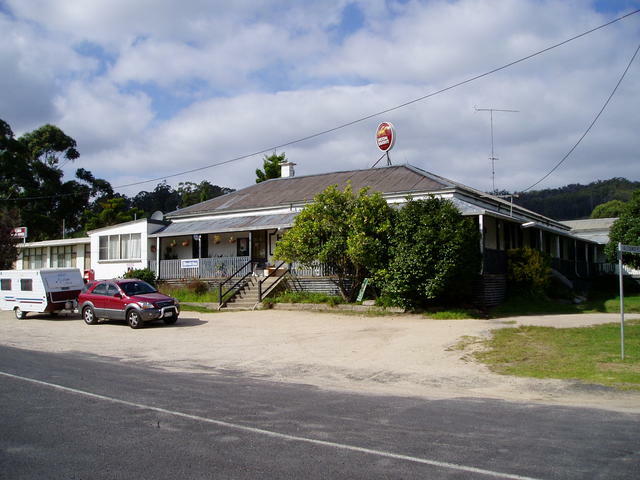 There's a great pub right smack bang in the middle of the town, plenty of fuel supplies, and a general store on the corner that can provide any immediate needs. 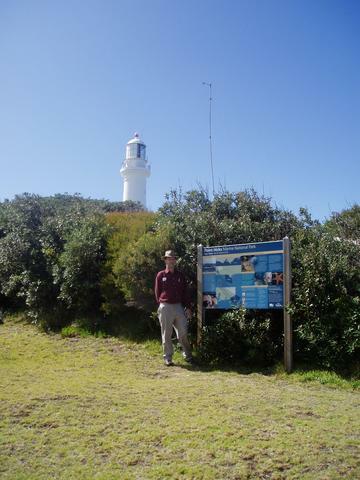 The real treat at cann River lies about an hour south though, but if you're caravanning, stay the night and request leaving your van there the next day whilst you go south and explore Point Hicks Lighthouse. 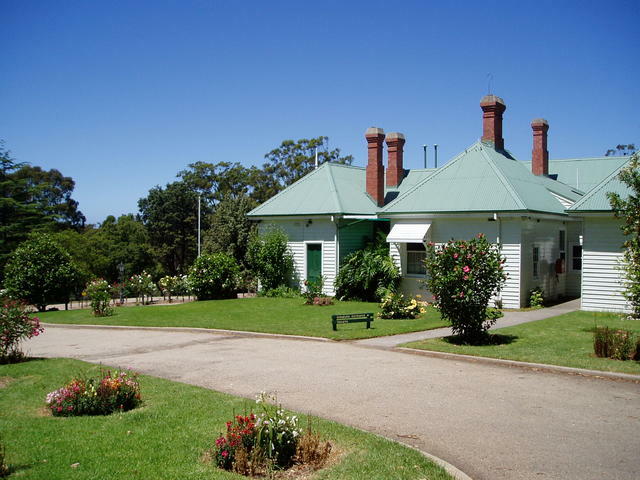 Otherwise, check out the accomodation at the Cann River Hotel, and either way, we have heard great recommendations for the meals from the Hotel - so you should be all ready for a nice ling wlak to the lighthouse and then up the top for a view of a lifetime! Be sure to stock up on drinks and refreshments and a packed lunch for this side track....... Take the road south right opposite the Cann River Hotel. After about 20kms the road turns to quite a comfortable gravel road, and winds its way down into the Thurra River campsite at Coordinates: -37.77902545884947, 149.3069887161255. It is possible to take campertrailers and very small caravans into the area, but you'd be wise to check with the locals depending on weather conditions and slippery road conditions if your vehicle is not well equipped for towing anything of size. But any 2WD car can get to this destination - no worries. The furthest you can get, is about 3kms from the actual lighthouse - unless you're fortunate enough to have booked accomodation to actually sttay at the lighthouse keepers residence there - which is a treat in itself! Otherwise, you park at the end of the Thurra River park, and walk through the closed-gate along the road to the end. At one point you can actually drop down onto the beach for about 500m which is a nice diversion. Call ahead on (03) 5158 4268 tp check visiting times. When we went, the opening days were only about 4 days a week. 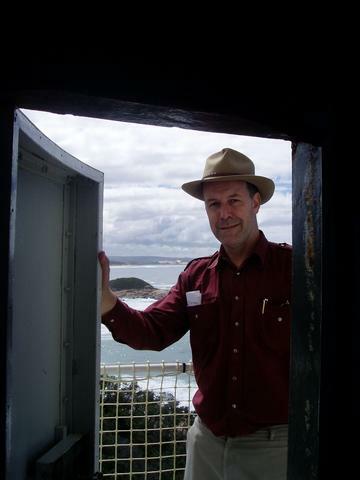 Depending on busy times, they permit you to do a self-guided tour of the actual lighthouse - so relax - take your time and do your thing! The views are great - but the wind up the top can make it tricky opening/closing the main steel doors! 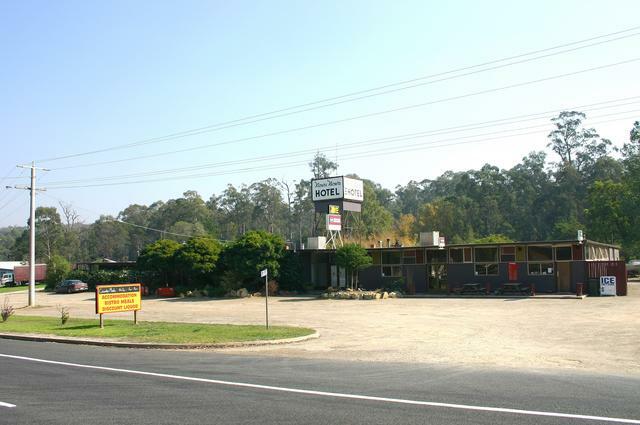 Hope you fed up at the Cann River Hotel to cope with all this! The surrounding residences of the Lighthouse are available to stay in, and of course the lighthouse itself is there for touring and inspections. Take a walk to the cliff edges and take in the distant views that make up this beautiful Croajingolong National Park area. - Top meals and service! Once a really tight bridge over the Genoa river, the historic road bridge still stands today, and is a good place to stretch your legs and check out how the Prince's Highway was once travelled all those years ago. View of the foreshore camping at Mallacoota - walking distance from the Mallacoota Hotel in the adjacent main street of the town! This once small village often overlooked by travellers along the Prince's Highway, is only about 28km south towards the sea - and what a spot it is. 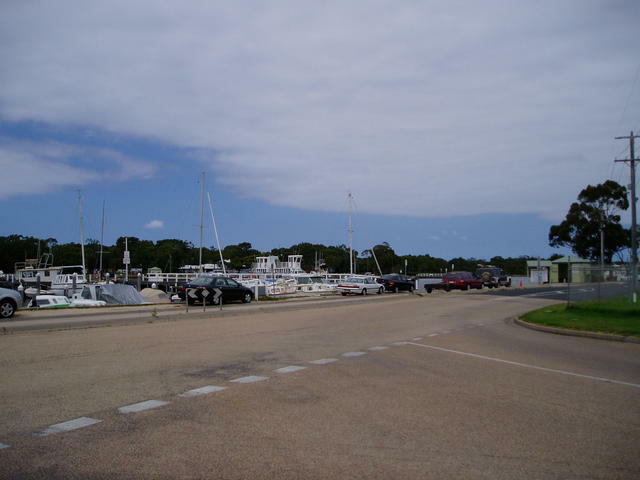 With a huge lawned caravan/camping park surrounding the town and providing boat mooring to sites on the water's edge, this town offers something for everyone. Fishing, swimming, exploring three great and different beachs within 2kms of town, and all the amenities you could hope for - that's Mallacoota. Well...... that concludes this region: East Gippsland! 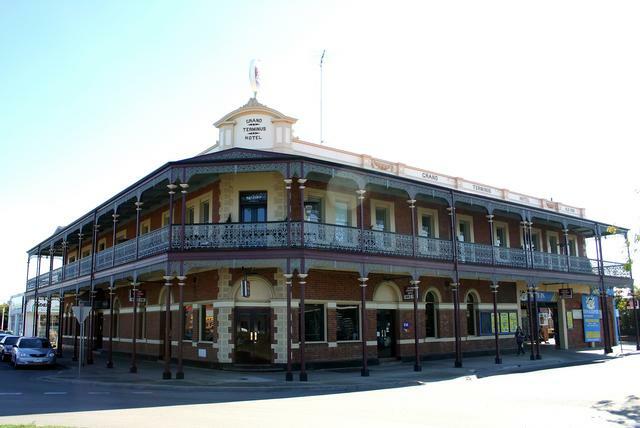 We sure hope you've seen a different side to this end of Victoria, and hope you'll come back down this way again and enjoy the hospitality that only the local publicans can offer you, whilst travelling the area! It's time to head on back up the the Prince's Highway again, and start exploring another Pub Trail! Genoa Pub - just off the edge of the highway - Drop in!